About The Dromedary Camel (Camelus dromedarius) is a large even-toed ungulate native to northern Africa and western Asia, also the land of east Africa, Sudan, Ethiopia and Somalia. Dromedary Camels have one hump and are desert dwellers. The Dromedary Camels is also the best-known member of the camel family. 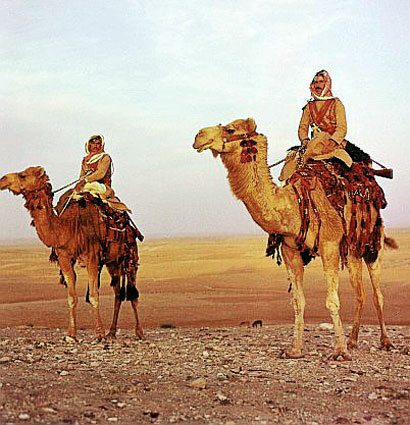 It is often referred to as the 'one-humped camel', 'Arabian camel', or simply as the 'dromedary'. 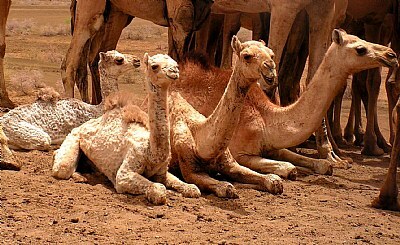 Dromedary hybrids are called 'Bukhts' and are good draft camels. Originally native to western Asia and East Africa, Dromedary camels were first domesticated in central or southern Arabia some thousands of years ago. There are currently almost 13 million domesticated Dromedary camels, mostly in the area from Western India via Pakistan through Iran to northern Africa. None survive in the wild in their original range, although the escaped population of Australian feral camels is estimated to number at least 500,000. Gestation for the female Dromedary camel lasts around 12 months. Usually a single calf is born and nursed for up to 18 months. Females are sexually mature after 3 to 4 years, males after 5 to 6 years. Life span in captivity is typically about 25 - 30 years, with some animals reaching the age of 60. Adults grow to a length of 10 feet and height of six to seven feet. Weight is usually in the range of 1000-1500 pounds. I love your questions, keep asking them please! Hellow Puven, thanks for liking it!! Thanks a lot Claudia, much appreciated!! Great fun - they do look pretty happy! I like the police camel as well - and it's not going to catch you for speeding! I always like to read your great and interesting about's dear Jen! !They are looking sooooooooooo sweet...LOL!! !You were so close too?? ?I'm sure that the mommy's were not so lucky about:))))The police car looks great too..LOL!!! Knappe en lieve foto tegelijkertijd. Curious already about the Police version ! great capture dear Jen!!!! they really look content!!!!! colors and details so fine!!!!!! what a lovely composition is this dear jen!! i really like the baby camels:) they look so cute and they are laughing indeed!! the tones and clarity is great in your shot as well dear!! how cute!! Thanks for the about, that was precise and complete, now I know so much about these animal..:) one question.. on the photo above, I see that the hair on these young dromedary get longer as their hump get bigger, does this exist even if they are adult? The Laughing Drommies..
thanks Jen, very good photo, cute subject with beautiful eyes. hi, very nice capture. cute shot. for putting it, hope will see more like this! Astonishing capture, dearst Jan, and a valuable information..very nice work my friend.! It is impossible to overstate the importance and the value of a camel to the Bedouin. This "ship of the desert" allowed them to cover long distances, often at high speed, and ensured them their independence from authority for centuries before the arrival of cars, jeeps and airplanes. If they met trouble in one place, they could be a hundred kilometers away in 24 hours. 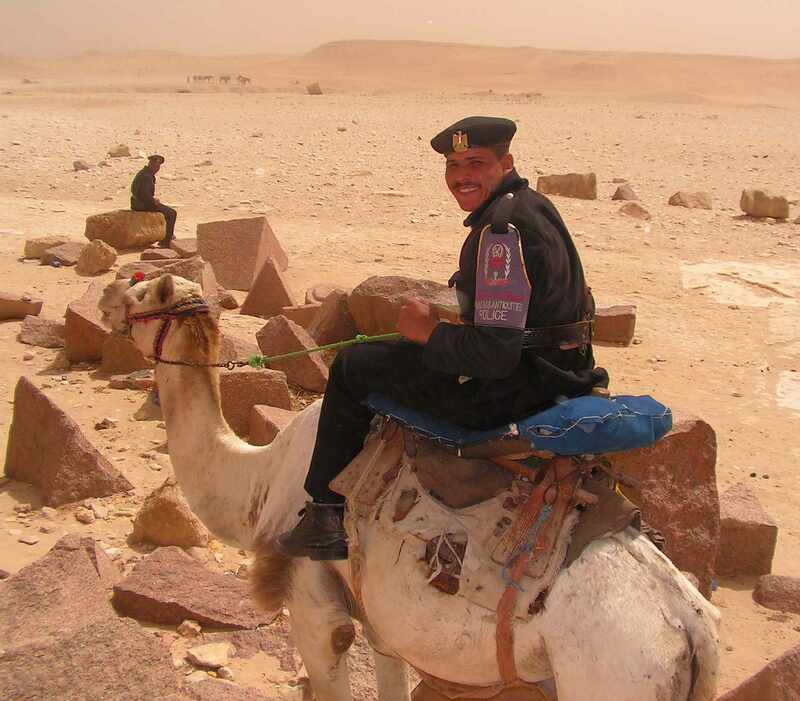 It is not surprising that they called the camel "The gift of God"
also at Jordan my country, we have a desert policeman on a camel..Hope you like the photo.. STUPENDA!!!!!!!!!!!!!!! bellissima questa foto carissima Jen! Complimenti.